Family Photos: Is a studio or location shoot best? Those quick snaps you take on your phone are a fun and easy way to document daily life, and perfect for sharing with friends on Facebook. But they can’t compare to the high quality, artitsic portraits you’ll receive after a family photo session with a professional photographer. With access to the latest hi-tech equipment, plus heaps of expert knowledge, the pros can capture outstanding images of your family. After all, those special times when your children are young pass in the blink of an eye. Professional images of those magical moments are ones that you’ll treasure forever. If you’re thinking about booking a professional photo shoot, you may be able to choose between a location shoot or a studio-based session. But what would suit your family’s needs best? Let’s talk through the pros and cons to help you decide. What’s best for babies and toddlers? On location: If you have a new baby, arranging a photo session at home is an easy option (but bear in mind that you may have to tidy up first!). Your home is part of your life, and glimpses of it will add meaning to the images. The photographer can shoot your newborn lying on white bedding in the soft light from a window, or being held tenderly by you in your favourite armchair. For the youngest toddlers your own garden is ideal, but as your little ones get older, a country house or beach will give them space to move around will provide a good backdrop for shots of the family together. 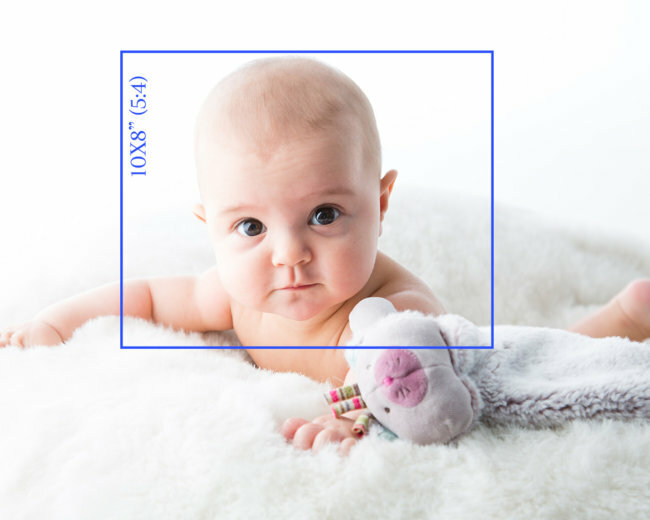 In a studio: For beautiful portraits that capture the essence of your baby, a professional photographic studio is also a great choice. Make sure you do your research though – choose a studio that specialises in this area of photography and knows how to use subtle lighting. Read reviews from other parents first. Shoots usually take place in the morning, when your baby is well fed and rested, and should be fun and relaxed, resulting in truly stunning and creative images of your family and newborn baby. On location: The great British weather can be challenging to the portrait photographer who works outside. If the weather is bad, the shoot may have to be rescheduled. Even a sunny day can pose problems for an outdoor shoot – the glare of the sun can create harsh shadows on your face, or make you squint into the lens. But why not go with the flow? If it’s stopped raining, you could put on your raincoats and welly boots and get the kids to jump in some muddy puddles, just like Peppa Pig! It should make a great shot. In a studio: Studio shoots take place inside, in a controlled setting. And being indoors means that hair, make-up and clothes are unaffected by the weather. So the wind won’t be whipping your daughter’s hair into her eyes, or blowing your skirt up. Once your session is booked, you are good to go, no matter whether it’s blazing sunshine, or tipping it down outside. On location: You may need to travel some distance, but being photographed in a stunning natural location – maybe a beautiful beach, local woodland or park, or a place that is particularly special to you – is likely to be worth the effort. However some locations may require a permit or special permission for shoots, which could put the costs up, and there may be other people there who get in the way! But you could choose to be photographed at home instead, and there’s nothing more convenient than that. In a studio: Inside the studio you should have access to everything you need, including an area to relax in, toilets, and drinks and snacks. You’ll also be able to change your clothes easily and keep warm. Many portrait photographers like to shoot to music so you may be able to bring your family’s favourite CDs. From the Rolling Stones, to One Direction or CBeebies: The Album, if it helps you to chill out, that’s great! On location: Lighting can be very variable outside. One minute the sun is out, the next it’s hidden behind a cloud. This can mean that a great shot is more elusive. However, if your photographer chooses a north-facing, shaded location, or shoots your family under the dappled, diffused light of a tall tree, you can get good pictures on even the sunniest summer’s day. Equally, overcast skies can be a photographer’s best friend, as they act like a giant diffuser, giving the light an even, gentle quality and eliminating shadows. Bear in mind that natural light is at its softest and most flattering in the early morning, late afternoon or early evening. In a studio: In a studio setting your photographer has complete control of lighting as all the tools of the trade are to hand. Whatever the time of day, the studio equipment can be set up to provide the most flattering diffused light, helping to eliminate dark shadows under the eyes (good news for tired mums) and making your family’s skin glow. On location: Most people, unless they are professional models or very outgoing, tend to stiffen up initially in front of the camera. Some people choose to be photographed in their home to help them feel more relaxed, perhaps resulting in better facial expressions and body language. On the other hand, for some other people, this might have the opposite effect if there is a danger of being distracted by clutter or the dirty washing! If you’re outdoors on location, the many opportunities for action – playing ball in the park or strolling along the beach, might make you less self-conscious and more ‘in the moment’. In a studio: Feeling uncomfortable will come across in the images, so your photographer should know exactly how to put you and your family at ease. Some toddlers and young children behave better anyway when in a less familiar environment. Whether it’s creating a calm environment to photograph your newborn baby, or joking with your little ones, experienced portrait photographers will engage with you all, and will give you plenty of direction to guide your posing. What will the final images be like? On location: Photographs taken outdoors usually feel natural and casual. Your photographer will aim to capture images of your children as they play, explore and rest rather than in more formal poses. Your family may be able to interact with the surroundings – picking daisies, paddling in the shallows or jumping off fallen logs. The best photographers should be able to get some dynamic shots that will add energy and intensity to the portrait. On the other hand, unless the pick the very best photographers, you might end up feeling that these type of photos are like the ones you capture yourself on the weekend. In a studio: A photo studio provides a serene setting where all the elements can be controlled. Even the backdrop can be chosen to suit you – perhaps white for a contemporary feel, or black for a striking low-key effect that allows your portrait to be sculpted with light. All this helps to create a polished and professional look for your family portrait – and potentially very different to what you might do yourself. Whether you choose a studio or location shoot, your photographer should be a master of light. You should be looking for natural, modern shots that reflect you and your family as individuals, which can be transformed into stunning, contemporary works of art to display in your home.